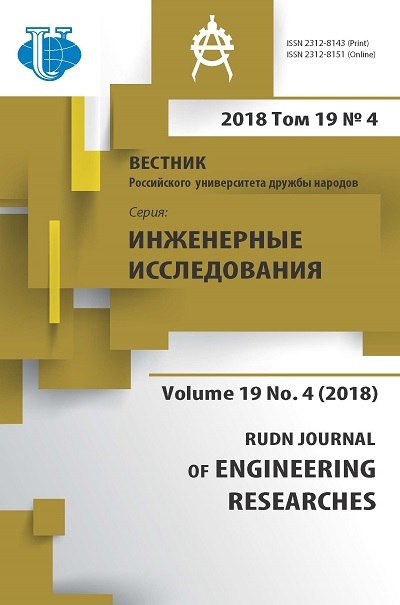 The journal publishes original articles devoted to engineering and power engineering, construction and architecture, and rational use of subsoil. It makes a significant contribution to the development of domestic engineering schools, construction and architecture and Earth Sciences, supports and promotes promising research, facilitating their implementation in practice. 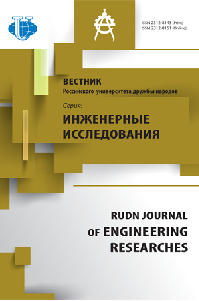 discusses the most pressing problems of mechanical engineering and the automotive, construction and architecture issues, problems of rational subsoil use and study of Earth's interior. contains information on recent and upcoming scientific conferences and events. Abramov V.Y., Mamadou D., Romero M., Aljabasini H.
Lamamra A., Kotelnikova E.M., Sergeev A.O. Campos Cedeno A.F., Mendoza Alava J.O., Sinichenko E.K., Gritsuk I.I. Degbegnon L., De Souza M.C. Mahmoud A.S., Dyakonov V.V., Dawoud M.I., Kotelnikov A.E.